After studying abroad with the University of Michigan, Logan was thrilled with this beautiful product. 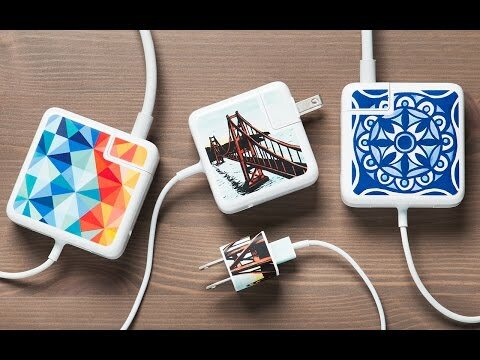 This really does keep all the chargers separate in our family of Apple Products! This is a product that you will say "why didn't I think of this?" Now ... if we could just personalize them with family pet photos! Thank You for making this gift special, as Logan remembers all of her wonderful memories of her Study Abroad in Morocco! Attractive sticker that made my charger so easy to identify amongst the many in my family. 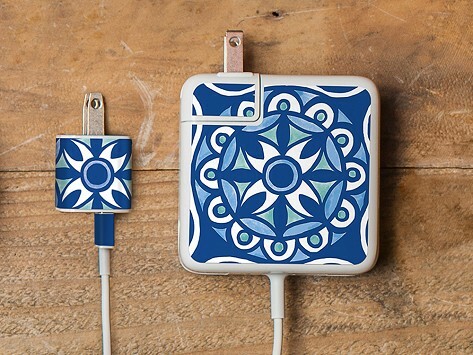 Never worry about mixed up chargers again !